A study by IDC projects that sales from private-cloud investment hit US$4.6 billion in the second quarter of 2018 alone, which is a 28.2 percent increase from the same period in 2017. So why are organisations attracted to private cloud? NIST says that private cloud has some unique characteristics that set it apart from the rest: “The cloud infrastructure is provisioned for exclusive use by a single organisation comprising multiple consumers (e.g., business units). The third, resource pooling, which makes for more overall efficient use of the compute resources, means various tenants share resources that are dynamically assigned over and over. In a private cloud this means that different divisions of an organisation share resources, but they are exclusively available for just that organisation. They are not shared with third parties as is the case with multi-tenancy services. Finally, measured service insures that providers and users can measure how much of various resources – storage, processing, bandwidth, numbers of user accounts – are used so they can be allocated in a way that optimises use of the resources. Just utilising virtualisation by throwing a hypervisor on a server does not comprise private cloud computing. While virtualisation is a key component of cloud computing, it is not a cloud by itself. Virtualisation technology allows organizations to pool and allocate resources, which are both part of NIST's definition. But other qualities around self-service and the ability to scale those resources is needed for it to technically be considered a cloud environment. A private cloud – compared to public or hybrid clouds – refers specifically to resources used by a single organisation, or when an organisation's cloud-based resources are completely isolated. The up-front costs can be considerable. For example, automation technology, an important part of a private-cloud network, can be a significant investment for many IT organisations. The result can be the ability to reallocate resources more efficiently, and it may allow some organisations to reduce their overall capital expenditures for new hardware, which can also save money. But overall savings are not assured. Many people associate private cloud with being located in an organisation's private, on-premises data centre and public cloud as coming from a third-party service provider. But as NIST notes, while a private cloud may be owned, managed and operated by a private organisation, it’s infrastructure may be located off premises. Many providers sell off-premises private clouds, meaning that while the physical resources are located in a third-party facility, they are dedicated to a single customer. They are not shared, as they are in a public cloud, with multi-tenant pooling of resources among multiple customers. "Private-cloud computing is defined by privacy, not location, ownership or management responsibility," says Gartner analyst Tom Bittman. When dealing with cloud providers, be wary of security definitions. 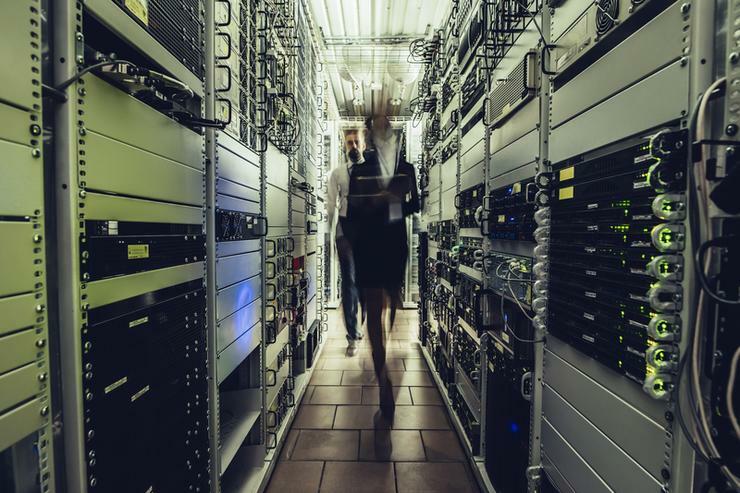 Some vendors may, for example, outsource their data-centre operations to a collocation facility where they might not dedicate hardware to each customer. Or they could pool resources among customers but say they guarantee privacy by separate them using VPNs. Investigate the details of off-premises private-cloud offerings, Bittman advises. "IaaS only provides the lowest-level data-centre resources in an easy-to-consume way, and doesn't fundamentally change how IT is done," he says. Platform as a service (PaaS) is where organisations can create customised applications built to run on cloud infrastructure. PaaS comes in public or private flavours as well, having the application development service hosted either in an on-premises data centre or in a dedicated environment from a provider. Private cloud is the natural first step toward a cloud network for many organisations. It provides access to the benefits of the cloud – agility, scalability, efficiency – without some of the security concerns, perceived or real, that come with using the public cloud. But Bittman predicts that as the cloud market continues to evolve, organisations will open to the idea of using public cloud resources. Service-level agreements and security precautions will mature and the impact of outages and downtime will be minimised. Eventually, Gartner predicts, the majority of private cloud deployments will become hybrid clouds, meaning they will leverage public cloud resources. Meaning your private cloud today, may be a hybrid cloud tomorrow. "By starting with a private cloud, IT is positioning itself as the broker of all services for the enterprise, whether they are private, public, hybrid or traditional," Bittman says. "A private cloud that evolves to hybrid or even public could retain ownership of the self-service, and, therefore, the customer and the interface. This is a part of the vision for the future of IT that we call 'hybrid IT.'" According to a 2017 survey by 451 Research, 39 per cent of respondents said they moved at least some data or applications out of the public cloud, the top reason being performance and availability issues. The top six reasons cited by the survey respondents were performance/availability issues (19 per cent), improved on-premises cloud (11 per cent), data sovereignty regulation change (11 per cent), higher than expected cost (10 per cent), latency issues (eight per cent) and security breaches (eight per cent). And it’s not that these IT decision makers were abandoning public cloud for private cloud. Rather it’s that cloud environments are constantly evolving for each organisation, and that many have a hybrid cloud that incorporates both private and public cloud.